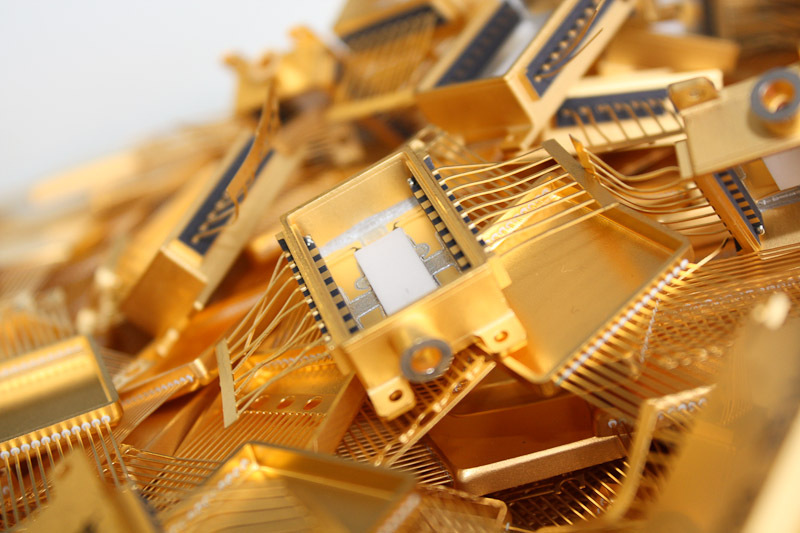 The global electronics waste stream reached an estimated 48.5 million tonnes last year, according to a new report presented at the World Economic Forum meeting in Davos, Switzerland. Roughly speaking, that is enough to cover the surface of Manhattan. This growing volume of e-scrap now represents more than 125 000 Boeing 747 jumbo jets – or the weight to all commercial aircraft ever built – and only 20% is recycled. ‘If nothing is done, the amount of waste will more than double by 2050 to 120 million tonnes annually,’ the Platform for Accelerating the Circular Economy (PACE) told the annual gathering. E-scrap also represents 70% of the world’s hazardous waste that ends up in landfill. The value of these materials is US$ 62.5 billion (EUR 55 billion), more than three times the annual output of the world’s silver mines and more than the GDP of most countries. ‘There is 100 times more gold in a tonne of mobile phones than in a tonne of gold ore,’ delegates were told. The consumer electronics market alone was worth some US$ 1.1 trillion last year and steady growth will push this sector to US$ 1.7 trillion by 2024, PACE declared. This not only covers a surge in smartphones and tablets but also a rise in products such as electric toothbrushes. The lithium-ion battery market – which is one of the fastest-growing segments in the world – is forecast to reach US$ 100 billion in the next five years or so. A big challenge is that by 2030 over 11 million tonnes of used lithium-ion batteries will be discarded. Analysts hope that the ‘dramatic’ rise in demand for materials such as lithium and cobalt will drive the recycling of such units. This has been hailed as an ‘inflection point in history’ representing an ‘unparalleled opportunity’ for businesses, policymakers and citizens worldwide. 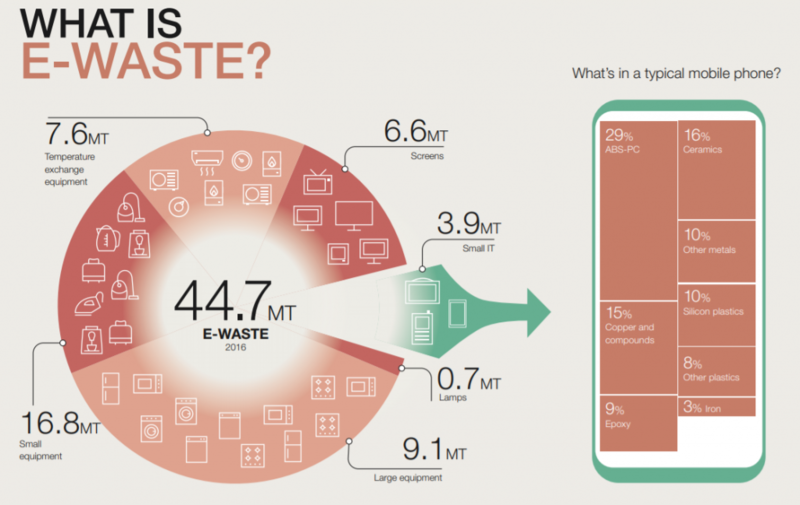 ‘Innovative products and services do not have to mean more e-waste,’ says PACE. It argues those who can rethink the value chain for electronic goods and prioritise dematerialisation and closed loop systems will have ‘an incredible advantage’.